But we know the world is constantly evolving, constantly borrowing from sources and remixing those in real time to create new ideas, new ways of thinking and new rules of engagement. So how do we expand upon a list generated last summer in the year 2015 while I was writing the book to take into account what we have seen in only the last few months? We add to that list and take the experimental innovator’s approach to a world of perpetual change. While many may be satisfied with a Top 10 list, those of us who realize those lists aren’t definitive will keep adding to the original ideas in perpetuity. This is where brands can learn. The act of trendspotting is a good analogy for modern business. It’s not what you’ve done that makes you relevant, but what you plan to do on top of what others have done before you. In order to be relevant today it is important to always be up to speed on what is happening and what emerging trends are on the horizon. So what are five additional trends that didn’t make that original ten trends all marketers should consider list and why are these new five additions important for your brand to watch? Read on. 1. What Does Mobile Mean? The problem with noting that mobile is important in marketing is everyone has come to think of mobile as simply a device. The iPhone, the Samsung Galaxy, the Motorola Razr. That is a very elementary way of viewing mobile but one marketer’s who aren’t very steeped in evolution buy directly from the companies producing the technology. The interesting company to look at in this scenario is one who doesn’t own a handset or has no plans to date of manufacturing one or creating an operating system. This would be Facebook who is more mobile than mobile companies based on how they deliver and design products in the here and now and how they plan to do so (conversation bots, Virtual Reality) in the future. Facebook has three applications (Facebook native application, Instagram, WhatsApp) that are more mobile than mobile as we’ve come to think of it from a hardware point of view. We need to begin to understand that mobile isn’t a device when we frame it in marketing terms but more of a behavior based on us as humans being able to move not only from place to place in the physical world and access information and connection, but to weave in and out of the digital world too. How are you thinking more like Facebook than Apple or Android where your customers have access offline and online to various forms of information regardless of hardware or operating systems? 2. Distribution Is Equally Important To Content. Content marketing and high forms of content have always been judged based on the content alone. You’ve heard the term too many times that “content is king.” However, if we look at how anything becomes powerful in the world of business it is based on a yin and yang scenario. This means in the world of content that distribution is equally if not as important to success. It’s just in this day and age distribution goes beyond the network effect into a world of personas and people-based interests. While distribution measurements are steeped in vanity metrics presently like likes, followers, Re-Tweets and other impression-based or engagement-based measurement, this is the early stage of helping marketers figure out where their content works best so as to use the right distribution channels in the future based on a test and learn analysis. Where does your audience live online, what do they like (not how old are they like tired network television media buying indicators) and how do you reach them in these habitats? 3. Everything Is A Remix. When people say things aren’t original they are correct. As humans we aren’t very good at making things from scratch that are brand new. But we are very good at using other inspirations to melt, mold and reshape into new ideas. This is important because the software tools we think are original are simply four to five inspirations from the past and present remixed into a new format that draws major attention from users. For example Netflix is film studios, broadband, TV networks and audience diagnostics warped into a software as a service delivery and reporting mechanism. Netflix knows what audiences like based on their viewing habits. Spotify is a record label, Napster, radio station and audience diagnostics warped into a software as a service delivery and reporting mechanism. Catch my drift here? For other remixes in popular culture and business check out Kirby Ferguson’s film by the same name. How does your product, service or brand standout in this new (old?) world of abundant digital mash-up, remixed knockoffs? 4. Hardware Accessories Are As Much A Predictor Of Change As Software. The mantra among people like Marc Andreesen who is a legendary venture capitalist and software developer is that software is eating the world. While we know this to be true in modern business and branding, we can’t just look at software alone as the predictor of behavioral change. Software has to be served somewhere in order to use it and the majority of us interact with it using a smartphone, a laptop or a tablet. And how that software is used with hardware accessories built for it is the thing to watch for where the world is headed. Who would have thought the iPad would be used as a device to deliver live news or shoot major films in 2016? That’s as much to do with the Padcaster as it does with the iPad itself. While the “selfie” craze from a few years ago was made possible by reversing the camera angle on the phone itself, the “stick” took it to utter new levels of behavioral shift. What forms of hardware accessories have you seen lately that may usher in new trends that may have an effect on your brand? 5. 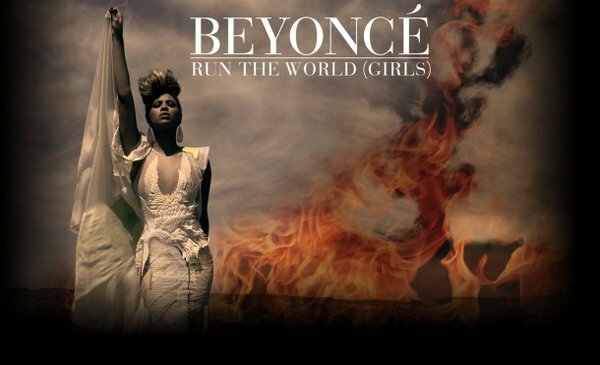 Girls Run The World. Beyonce’s song isn’t just catchy because it’s a good pop tune, it will be true. Over the next decade, women around the world will enter the workforce at an unprecedented rate. Close to one billion women, many of whom have never worked, will be new economic contributors in the world economy. Because of urban migration, increased access to education, mobile technologies and low barriers to entry into new marketplaces, women will create work and start businesses more readily than ever. While the work female leaders like Sheryl Sandberg (Facebook) and Ginny Rometty (IBM) have done is important, they are still working within the confines of an industrial economy hierarchical organizational chart environment. The new leadership will ignore most of those case studies and create new business models not even imagined a decade ago. Some women will actually reshape or ignore org chart status to success by creating businesses that don’t require standard behaviors to achieve success. The gender gap in earnings will narrow over the decade of 2020 based on more salary transparency. Women will be a dominant force in the health, education and service sectors, which are all expected to grow and be reshaped significantly in the next 10 years and because these are industries all being reshaped by software. 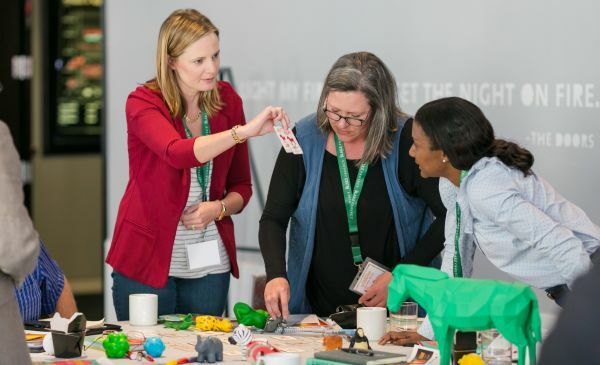 As a result, women leaders in these sectors will have a significant say on how technology products that help their businesses are coded, deployed, developed and shipped. Hybrid solutions may become very popular, where mixed or augmented reality become huge advantages by allowing new entrepreneurs to participate or run a business without having to physically be present. Is your work set up for this new disruption? Is your brand in a position to benefit from these disruptions? Thanks for an important reminder: we don’t have to fly blind. Finding out where your audience lives online can be a challenge, but it’s a must-do if we want our efforts to be effective. Good post, thanks for sharing.